OUR PRICE: $70.28 - Join Rewards Get $7 Dance Dollars On This Item! 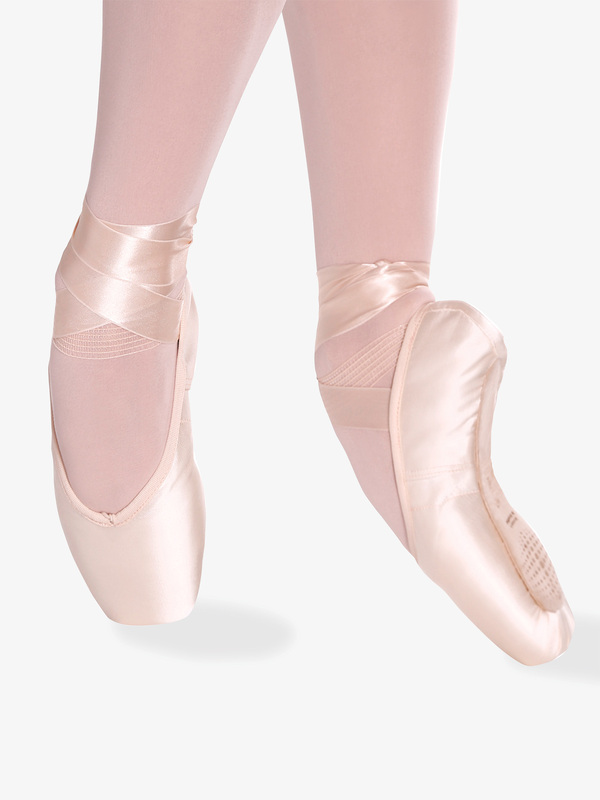 Introducing the, elongating and precision-enhancing, "Claudia" pointe shoe by So Danca - featuring a low profile for an elegant look, a long vamp with elastic drawstring, a wide platform, and supportive wings for a centered balance. Ribbon and mesh not included. Suggested Fitting: Women order 2.5 sizes smaller than street size. these shoes are very comfortable! quite and they looked great. only down side is they went soft so fast! I only wore them maybe 3-4 classes. for me the shank went first right on the demi pointe then the box got to soft to hold me.